Mother Nature has unleashed her fury — the sort of evening you wouldn’t wish on your worst enemy. The Roscommon and Mayo players have survived the onslaught but there’s one last sting in the tail. The showers in MacHale Park have gone on strike. As shivering Roscommon players make their way from their dressing room to the nearby Castlebar Mitchels clubhouse for some warmth, Anthony Cunningham soon emerges. “As bad an evening that you could get for a match”, he opines, but the conditions are the last thing on his mind. A brave performance hadn’t delivered the result he craved. “We’re very disappointed considering the effort the guys put in. It was a treacherous evening for a match but they gave some effort. Maybe if we displayed a small bit of cuteness there before half time, we could easily have tagged on another score or two. “They’re the small margins at this level but we just have to keep learning from that. The lads will learn so much from this evening but you’d have to say that we’d be extremely proud of the performance. Now we just have to drive on again for next weekend,” he remarked. When pressed further on the conditions, Cunningham felt that Roscommon had mastered them just as well as Mayo. “It’s a pity really. Having said that, it was the card that was dealt. Mayo were really up against it with the way we played in the first half. It was going to turn around the other way and you saw that kickouts weren’t going 30 yards. “It was just a very hard evening to strike frees. The small difference was that Mayo got those frees from the same positions. As I said, they’re just the fine margins. “But there was nothing in that match, and for us conditions aren’t an excuse. We’re going to have to face those. So we’re delighted with the performance but it’s not the two points we wanted,” he highlighted. More importantly, the last two weekends had proved to the new manager that Roscommon were capable of competing in elite company. “The way we played in the first ten minutes of the second half was probably the best either team played against the wind. We steadied the ship and we carried the ball quite well. Their goal was a sucker punch. It looked like he (Brian Reape) over-carried it at one stage. It’s a hard one to take but we have to take what we’ve learned on board for next weekend. “To beat Galway and to come down here to Mayo and to run a team that should have won several All-Irelands in the last ten years to a point, you’d have to be very optimistic that we can improve. But it’s only the players that can improve. We’ll help them along every day that we have them but everyone needs to be patient. Rome wasn’t built in a day, and a young team coming through have to go through these nights here in Castlebar to learn,” he explained. 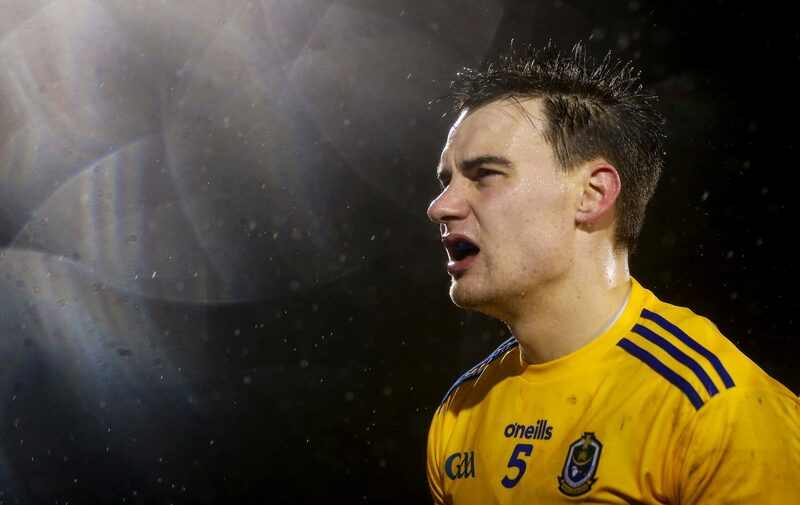 Overall, Cunningham was encouraged but he knows that league points are the only currency that matters if Roscommon are to stand any chance of survival. “There’s a tremendous spirit there, and their workrate and application to training has been second to none. We have a good culture and set-up. We’re trying to improve that on a weekly basis. The players are responding magnificently but we do need to get results and points on the board,” he conceded.